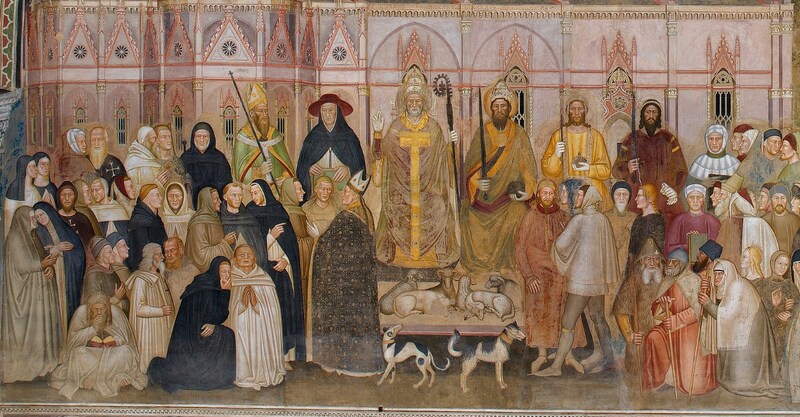 Andrea Bonaiuti’s fresco ‘The Church Militant’ in the Spanish Chapel, St Maria Novella, Florence, portraying the leading lights in crusading at the time (back row, right to left, beginning with the black-bearded noble carrying a sword): Amadeus VI count of Savoy, King Peter I of Cyprus, the Emperor Charles IV, Pope Urban V, the papal legate in Italy, Gil Albornoz; (back row, fourth from far left) Juan Fernandez Heredia, master of the Hospitallers; and, standing in front of Peter of Cyprus, Thomas Beauchamp earl of Warwick, wearing the insignia of the Order of the Garter below his left knee. There was no dearth of crusading spirit in fourteenth-century Europe. In a delayed reaction to the loss of Palestine, many thousands of townspeople and peasants from England, Flanders, northern France and Germany took the Cross in 1309. They made their way across Europe expecting to be provided with a passage to the East, but in the end a comparatively small expedition sailed to help consolidate the Hospitaller possession of Rhodes. So many crusades to the East in the fourteenth century started well but never got anywhere. In 1319, for example, the Pope diverted a Franco-papal fleet of ten galleys to the papal wars in Italy. The Italian wars were a constant diversion as successive Popes, exiled from Rome and living in Avignon, proclaimed crusades against their traditional enemies in northern Italy. In the early part of the fourteenth century there was a short-lived reappearance of ‘shepherd crusaders’ and in 1334 a three-part plan was set in train for a crusade strategy that had not been tried before: the Venetians, the Hospitallers and the Byzantines agreed to maintain a force of twenty galleys in the eastern Mediterranean for five years. The French king and the Pope added another eight galleys between them, and a naval league was established to rid the eastern Mediterranean of Saracen corsairs. It was an effective force but the other two stages planned in the crusade, an invasion of Asia Minor followed by a full-scale invasion of the Holy Land, faltered as relations between England and France worsened. When Pope John expired at the end of 1334 his strategy to recover the Holy Land died with him. But after an interval of almost ten years another Pope revived the naval league and, in the spring of 1344, a squadron of Christian galleys defeated a Turkish fleet in the Aegean and sailed on to take the port of Smyrna (Izmir), a major Muslim naval base. The Hospitallers’ galleys played an important part in the capture of the Emir of Aydin’s principal port, and after 1374 the Hospitallers took control of Smyrna and held the port until 1402. The Pope was jubilant about Smyrna and there was much talk in crusading circles about the tide turning at last; events in the Aegean inspired Humbert II, Dauphin of Viennois, to change his crusading plans, which were centred on Spain, and go instead to the East. He was appointed ‘Captain General of the Crusade against the Turks and the Unfaithful to the Holy Church of Rome’ and he promised to contribute five galleys and at least 100 men-at-arms. He arrived in the East in late 1345. But by the summer of 1347 Humbert had achieved very little, and on the death of his wife he packed up his crusade and returned to France to end his days as a Dominican friar. The next big assault on the Saracens switched the focus of crusading from the Turks of Asia Minor back to thirteenth-century objectives – the Holy Land itself and its Mamluk masters. The initiative came not from any European monarch but from the Latin Cypriot King Peter I. His enthusiasm for crusading was almost equal to that of the thirteenth century’s St Louis; the recovery of the Holy Land was an ideal which he had cherished as a young man and, on coming to the throne, King Peter began his holy war in earnest. He first fought the Turks in Asia Minor and won the coastal fortress of Korykos (Kis Kalesi) for his kingdom. That was followed by two years spent travelling around the capitals of Europe to win support for what was going to be the crusade of the century. He saw the Pope at Avignon; King Edward III of England entertained him for a month in London and presented him with 12,000 francs’ worth of ship called the Catherine; King Peter received encouragement from the kings of France, Hungary and Poland, the Duke of Saxony, the Holy Roman Emperor – Charles IV – and from a host of lesser nobles and wealthy merchants from the Atlantic seaboard to the River Danube. He was honoured at banquets, jousts and tournaments wherever he went. Vienna was his last stop, before returning to Venice in November 1364, where a large army had already assembled. Two years on the road spent fundraising had delivered a sizeable force of about 10,000 men to his crusading banner but, apart from the King of France, who had already died by this time, the big names he had so diligently courted made their excuses, and left the challenge to be taken up by lesser nobles. By the time the Hospitallers added their squadron of galleys, however, Peter could count on 165 ships ready to sail from the assembly point off the island of Rhodes. He then deliberately gave the impression that they were bound for Syria – not even the galley commanders knew the truth – but after sailing along the coast of Asia Minor the fleet received orders to alter course – south toward the mouth of the Nile and the important Egyptian city of Alexandria. No doubt many saw that decision as a wise move. If Alexandria could be captured and held, it could serve as a base for future incursions into Egypt, or perhaps, as the Franks had noted in the past, the captured Egyptian city might be exchanged for Jerusalem. It had, of course, not been forgotten that Alexandria, with its warehouses stuffed to the rafters with every imaginable valuable commodity, was the sultan’s richest trading centre. Peter’s fleet surprised the city’s small garrison when it appeared off Alexandria on 9 October 1365 but the city’s defences were strong, consisting of a double wall system and moats. Peter landed troops the following morning and, after engaging the defenders along the west wall, suddenly switched his attack to the area of the Customs House gate. The wall there was surprisingly thinly defended. Some crusaders burned the Customs House gate while others threw up scaling ladders and scrambled into the city. Seeing the walls breached, the frightened inhabitants surged towards the land gates with whatever they could carry; there was a counter-attack through one of the land gates by the regrouped garrison, but that was quickly repulsed, and within forty-eight hours Alexandria was under Christian control. Sir Steven Runciman, in his History of the Crusades, compared the scene that followed the crusaders’ conquest of Alexandria with the excesses that had occurred during the sieges of Jerusalem and Constantinople: ‘They spared no one. The native Christians and the Jews suffered as much as the Moslems; and even the European merchants settled in the city saw their factories and storehouses ruthlessly looted. Mosques and tombs were raided and their ornaments stolen or destroyed; churches too were sacked, though a gallant crippled Coptic lady managed to save some of the treasures of her sect at the sacrifice of her private fortune. Houses were entered, and householders who did not immediately hand over all their possessions were slaughtered with their families.’ Large numbers of camels and donkeys that had been used to carry the loot to the harbour were also slaughtered and left to rot in the streets; and there was to be no question of holding the city. Once the crusader army had humped its treasure aboard the ships, the galley captains were eager to be off, and the appearance of the sultan’s army from Cairo making its way towards the city was an even greater incentive to weigh anchor. Some historians think that Peter had no intention of holding Alexandria as a crusading base and that his real motive was to limit, or eliminate, Alexandria as a major trading port. Since papal restrictions on trade with the Muslims had been relaxed during the course of the fourteenth century, Famagusta had suffered because merchants, who had previously used the Cypriot port as an entrepôt, were now dealing directly with the Muslims. But if Peter’s only motive was a commercial one his crusade produced a very poor balance sheet. Alexandria was held for only a matter of days; in Europe prices went sky high for exports from the East, the Mamluks persecuted the native Christian population under their control, and in an act of retaliation the Holy Sepulchre was closed for several years. 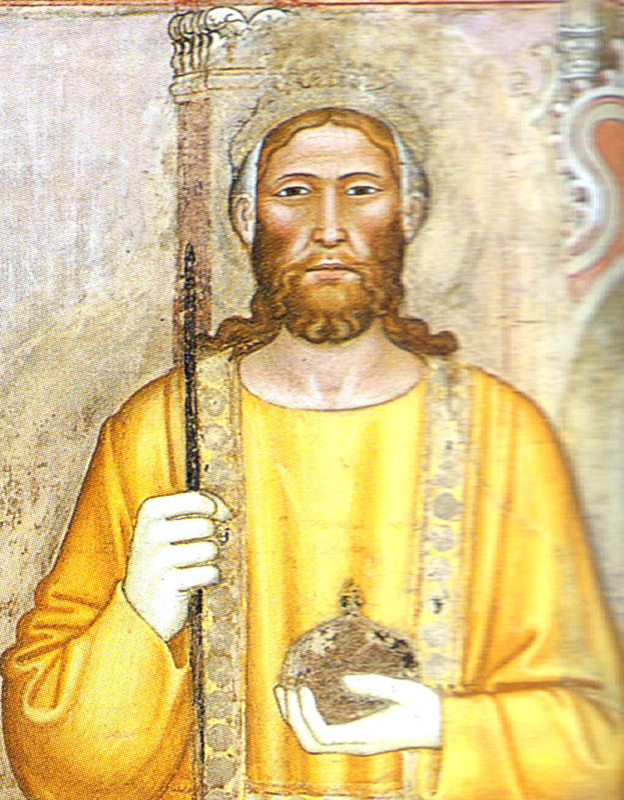 Peter himself was the victim of a coup d’état, and in 1372, at the coronation of his son as titular King of Jerusalem in Famagusta, a brawl broke out between Venetians and Genoese that ended in commercial ruin for Cyprus. The Genoese, whose shops had been sacked, sought compensation, and the failure of the king to satisfy them actually triggered a war between Cyprus and Genoa which debilitated Cyprus and hastened the fall of another Christian power in the East – the Armenian allies of the Franks in Cilicia. While the Cypriots were struggling to repel the Genoese, the Mamluks and the Turks made further inroads into Cilicia, and in 1375 the Armenian king, Leo IV, fled the country to live out the rest of his life as an exile in Paris. By the third quarter of the fourteenth century, the Turks of Asia Minor had embarked upon a policy of aggressive expansion and Rome was obliged to accept them as a serious threat, not just to Christendom’s reconquest of the Holy Land, but also to the very heartland of Christian Europe. The princely Ottoman state, which had its origins in the north-west of Anatolia, had already caused problems for the Byzantines in the early part of the century, but after 1326 the Ottomans rapidly changed the map of Asia Minor, and the boundaries of former western provinces of the old Byzantine empire. In 1331 Nicaea was taken. The Turks had crashed into Europe by 1348 through Thrace and their unstoppable armies spread like a floodtide into the Balkans and across much of Anatolia. The Popes of the later fourteenth century worked ceaselessly to organize crusades against the Turks, but the great schism of 1378-1417, when there were two, and at one point three, competing Popes, made concerted action difficult. The Hospitallers on Rhodes were themselves divided and there were even crusades launched against the rival Popes. There was, for instance, enthusiasm for crusading in England of the early 1380s – England supported Pope Urban VI in Rome – and two crusading expeditions started out with great enthusiasm. The bishop of Norwich led one of these crusades against the so-called ‘Clementists’ who were the supporters of the Avignon-based Pope Clement VII. 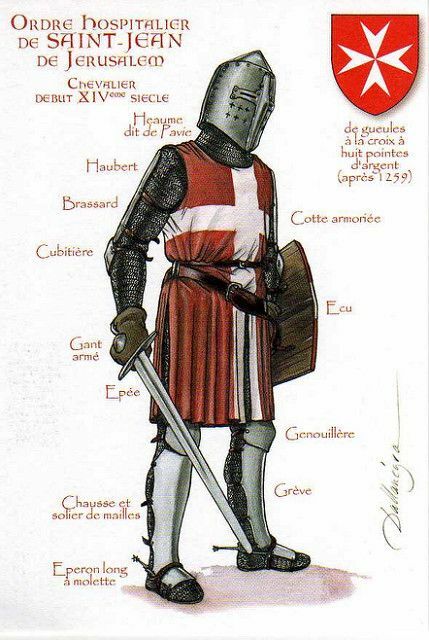 The bishop and his followers crossed the Channel in May 1383 and took several seaside towns on the Channel coast but at Ypres the French army confronted the English and the crusade collapsed. John of Gaunt sailed from England in July 1386 and tried to seize the Castilian kingdom, but he withdrew in consideration for a large sum of money.